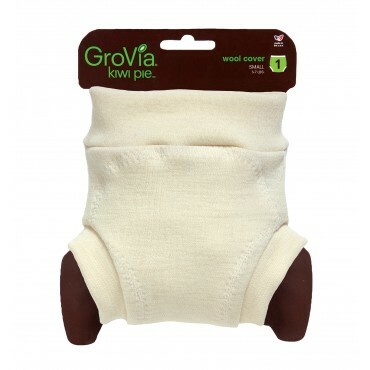 GroVia Kiwi Pie Wool Covers are as functional as they are beautiful. A pull on style cover, that is pure, soft, and breathable. 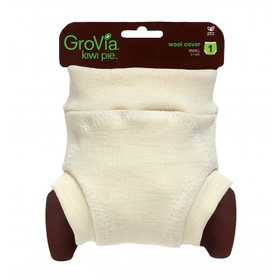 Our closure free design means maximum comfort for babies on the go. The Kiwi Pie™ line is proudly handmade in the United States using materials that are also milled here at home. Hand wash in warm water with a Wool Wash . Roll in towel to remove excess water. Reshape and flat or hang dry. Follow with a light mist of Lanolin Spray to ensure your cover is ready to work again! You can see all our wool care items here!